In a bowl whisk the eggs, milk, butter and vanilla. Dunk each side of the bread slices and take to a skillet or pan. Serve and top with fresh berries and whipped cream. Don’t forget to pin the below image so you can whip up this easy breakfast or brunch recipe when ready! 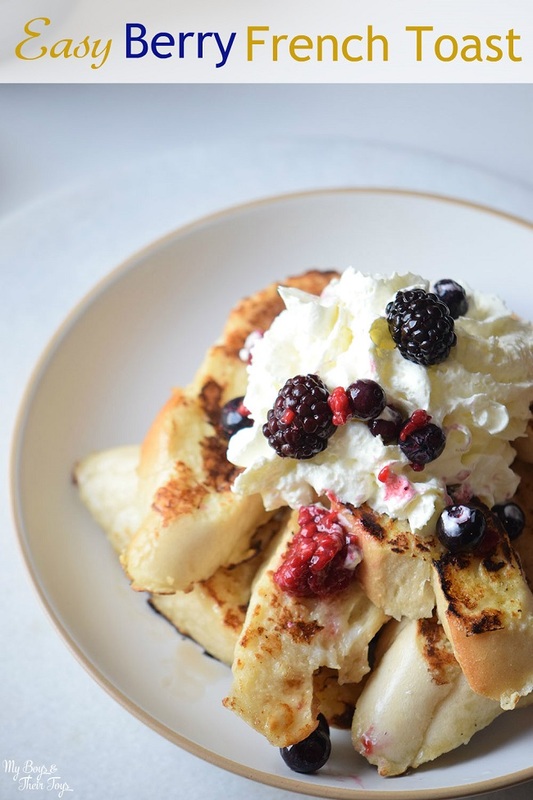 This french toast recipe is so delicious and indulgent! It’s the perfect Sunday brunch recipe that everyone will rave about! And if you’re looking for other breakfast favorites, here’s 3 breakfast in bed recipes worth trying too. What is your favorite french toast topping? Looks amazing! I will definitely make this one! This french toast makes me want to have breakfast for every meal! Holy moly, this looks delish. 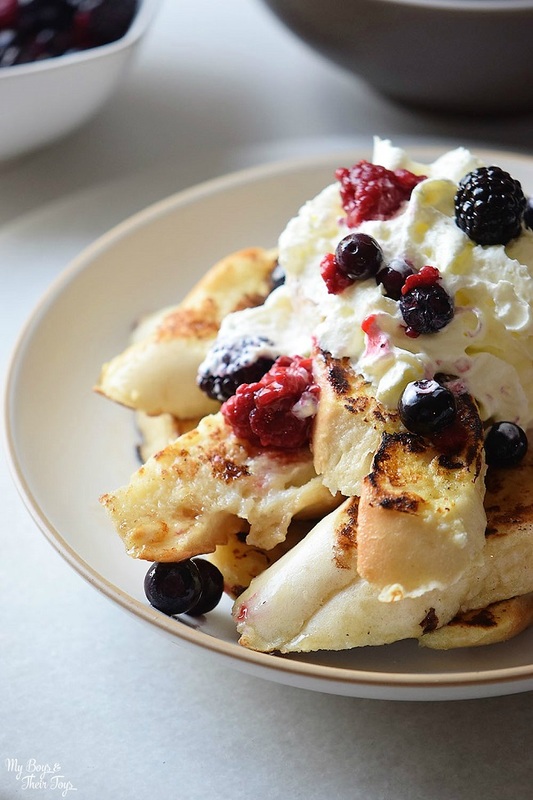 I am in love with French Toast.. love the addition of berries. Nom! Oh my goodness this looks amazing. I love your recipe, it is very easy to follow and the result is so yummy! Your post is so tempting! This sounds so tasty! I love that it’s easy to make too. It looks so good and it’s pretty easy to make. We love sweets. This looks so delicious!! I love your ingredients! I would most definitely love to try the The Best French Toast Recipe. I think it is an outstanding plate, of which I am trying later in this week after the holiday. I’ve never tried making it with a baguette before. It looks so decadent! Looks delicious. Have you ever used other bread other then French baguette ? This recipe looks easy and delicious. Can’t wait to try. I make a french toast bread pudding and you gave me a great idea to add berries and whip cream to it next time I make it. This is a great Idea for dressing up that boring ol french toast. and a great way for everyone to get some extra fruit in their diet. OMG that looks delicious! I love more berries on my french toast toppings. I have got to make this amazing French Toast. We love French Toast and will love making this recipe for the kids!